Channing Dungey, the first African-American woman to become president of ABC, has been forced to resign amid declining ratings on ‘The Connors’ TV show. It was Dungey who decided to cancel the hugely popular “Roseanne” following the star’s controversial tweet in May and her ongoing public display of support for President Trump. 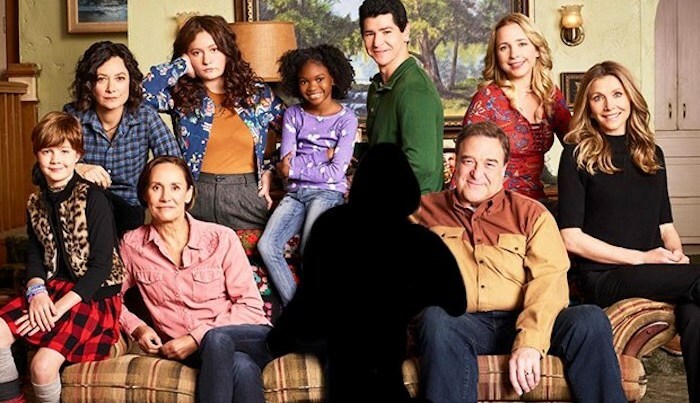 A spinoff of “Roseanne” debuted last month under the title of “The Conners,” with the Roseanne character having been written out of the show due to an accidental drug overdose. The ratings were respectable for its Oct. 16 debut — likely from fans who were curious about how Roseanne’s death played out on the show — but have continued to decline as the original “Roseanne” fanbase has stayed away from the show. Nothing spells trouble for a network show like a consistent erosion of viewers each week. It means people don’t like the show enough to bother coming back for more. And when ratings decline, so do advertising dollars. As a result, MSN.com reports that main stars of the series, Laurie Metcalf and John Goodman, are likely going to be asked to take pay cuts. Lots of new shows are canceled each season, but in the wake of the abrupt fall from the record-setting ratings for “Roseanne’s” revival in March to its cancellation in May to the rapid failure of “The Conners,” Dungey has resigned her position. Although no official line has been drawn connecting the cancellation of “Roseanne” and Dungey’s departure, the cold reality is that network television is an extremely competitive industry. Bad PR and low ratings can lead to executives being encouraged to resign, if not flat-out being terminated, after very short tenures. In a case of “woulda, coulda, shoulda,” it is easy to speculate how things could have fared much differently for ABC, Dungey, Barr and the show’s cast and crew had the situation been handled differently. Instead of weaponizing a “racism” claim against the network’s money-making star, Barr’s apology could have been accepted and a suspension or other penalty could have been imposed to keep the show going, while taking whatever stand the network felt was necessary from a PR standpoint. A much-hyped, high-profile show for ABC is dying a slow, painful and unnecessary death, due to a knee-jerk reaction by Dungey six months ago and the quick use of a “racism” charge to essentially blacklist the career of a popular star. Many of the show’s fans linked ABC’s quick firing of Barr to her support for President Donald Trump. Dungey’s exit may be too late to make the situation right with Barr or her fans. But the situation with “Roseanne” and “The Conners” isn’t the only blemish of her tenure at the network. Dungey also canceled “Last Man Standing,” the Tim Allen sitcom that was a huge hit among conservative viewers. The show has since been picked up by Fox and remains a ratings success. The New York Times noted that Dungey also lost popular show creators Shonda Rimes (“Grey’s Anatomy”) and Kenya Barrish (“Black-ish”) to Netflix. Meanwhile, ABC is in last place among the four major networks in prime-time ratings. Dungey will be replaced by Karey Burke, a programming executive from Freeform, the cable network owned by ABC. It will be interesting to see if Burke will make an effort to create programming that appeals to conservatives rather than villainizing them.